Acute coronary syndrome (ACS) refers to a spectrum of clinical presentations ranging from those for ST-segment elevation myocardial infarction (STEMI) to presentations found in non–ST-segment elevation myocardial infarction (NSTEMI) or in unstable angina. 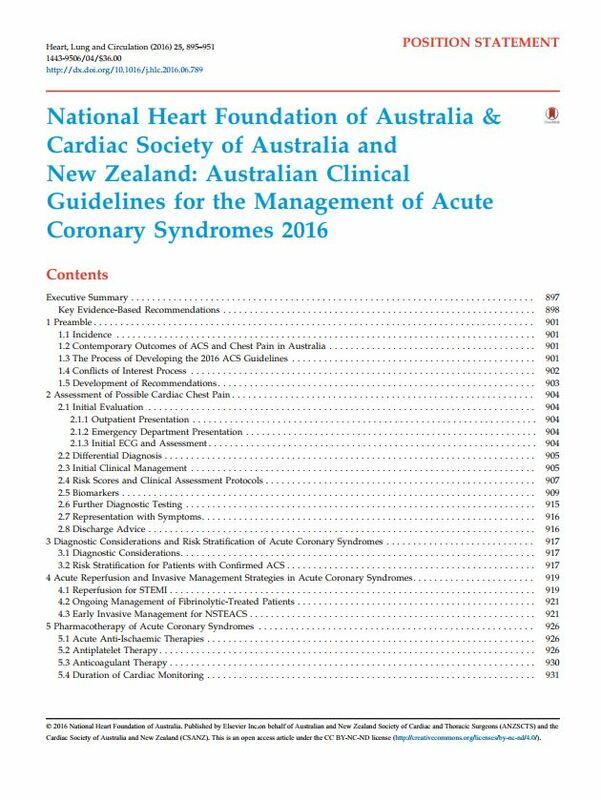 In Australia, the Heart Foundation has a leading role in supporting clinicians through the development of evidence-based guidelines for the management of ACS. Maintaining up-to-date guidelines for clinicians is an important strategy to ensure people experiencing ACS receive evidence-based care, irrespective of where they live in Australia. KP Health, in partnership with our University of Tasmania team members, has conducted a series of ten systematic reviews of the literature on behalf of the Heart Foundation. These literature reviews informed the development of revised national clinical practice guidelines for acute coronary syndrome.